I can’t believe it’s taken me so long to get round to showing you these amazing shoes! 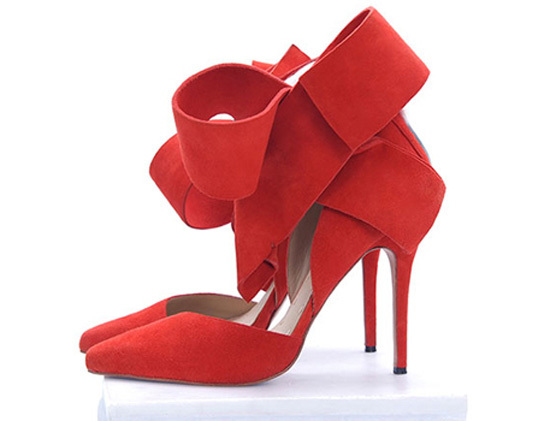 I’ve been seeing them around Pinterest for a while now, and they’re absolutely spectacular, with their oversized bow at the ankle. 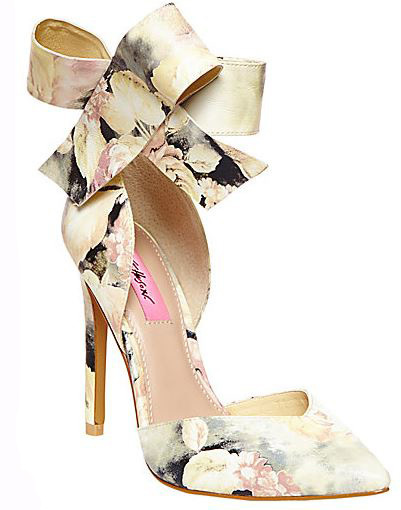 Wouldn’t those be just perfect for spring? Head-toe-black isn’t something I wear often, but it’s a look that’s been really appealing to me lately. Both skirt and top in this set are from River Island, and I love the structured peplum top, with it’s off-the-shoulder design. It reminds me of one of those very tailored pieces you see in old black and white movies from the 40s, and although the leather pencil skirt is a little more contemporary, I was inspired to go for something of a ‘femme fatale’ feel – all red lips and high heels.